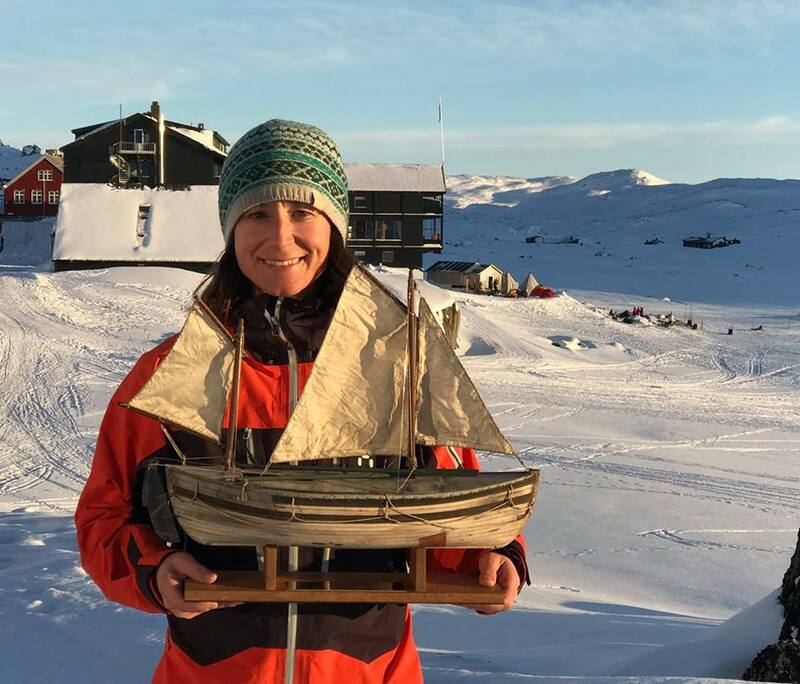 "...thank you for your courtesy, kindness and the help you have given us; and to say that when the Expedition is over we hope to come again to the joys of Finse". ​The purpose of The Shackleton Award is to honour outstanding expedition achievements which inspire today's explorers to new expeditions into unknown territories or conditions. The award will be presented annually to an expedition found to be "real and novel, un­motorized and within polar areas or conditions". 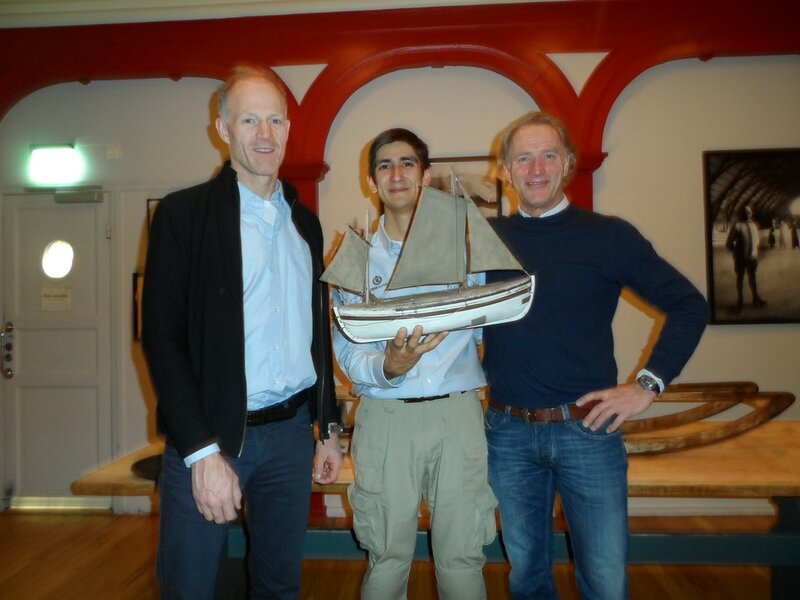 The first Shackleton Award was presented to Borge Ousland and Thorleif Thorleifsson for their world record voyage through climate change: 'The Northern Passage Expedition 2010'. 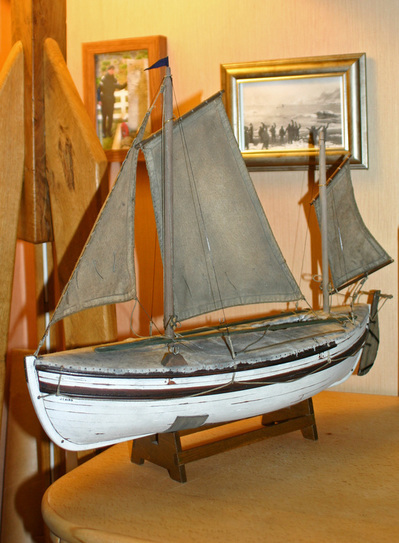 The award is a specially commissioned hand-crafted museum quality model of the James Caird lifeboat produced by Shackleton Legacy Ltd and presented by The Shackleton Award Committee at 'Expedition Finse' every year on the occasion of Sir Ernest Shackleton’s birthday. The Shackleton Award commemorates the achievements of Sir Ernest Shackleton and the men who accompanied him: “His expeditions and leadership qualities have inspired generations, and continue to do so today,” stated the organizers. On Sir Ernest Shackleton’s birthday (he would have been 140), the Norwegian expedition Northern Passage 2010 received The 1st Shackleton Award at Finse 1222, Norway during the annual Expedition Finse festival. Northern Passage 2010 was the first circumpolar expedition to sail through both the Northeast and Northwest Passages in the same season. The well merited polar explorer Børge Ousland teamed up with the equally well merited offshore sailor Thorleif Thorleifsson. They sailed a small trimaran, a Corsair 31, from Oslo, Norway on 23 June, left Murmansk 28 July and arrived at Point Barrow, Alaska on 16 September. Returning through the Northwest passage passing Cambridge Bay on 16 September, turning the tip of Greenland on 3 October and arriving back in Oslo on 23 October. Please visit www.ousland.no/category/northern-passage-2010/ for more details. Please visit www.scottexpedition.com for more details. The Shackleton Award Committee selected a two m​ember expedition that was inspired the two Norwegian explorers Fridtjof Nansen and Hjalmar Johansen when they in 1895 left the icebound Fram and set out for the North Pole. They did not make it to the pole, but made an epic return to Franz Josef Land. The expedition was unsupported and unassisted. It was a true polar adventure in the spirit of Shackleton (and Nansen). 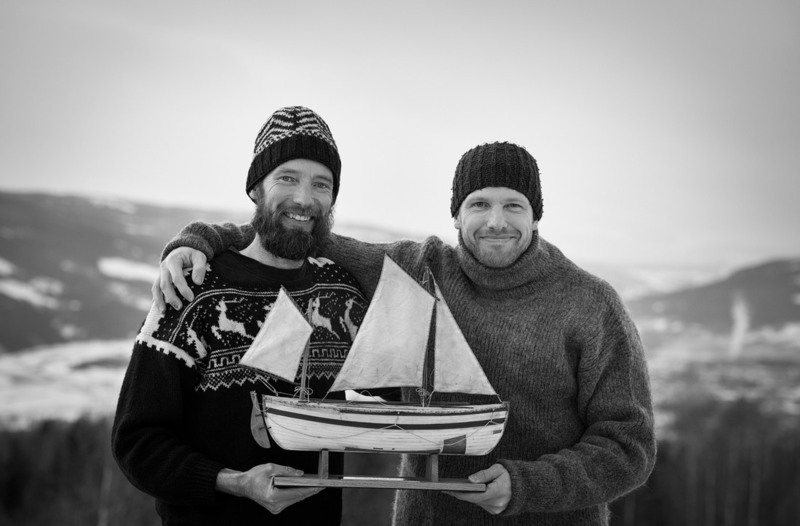 Therefore the Shackleton Award for 2016, goes to Timo Palo and Audun Tholfsen for the ‘Arctic Return Adventure Tour 2012’. Please visit www.arcticreturntour.com for more details. Johanna Davidssons round-trip to the South Pole meant five records that direct the attention of several media with headlines such as Correns "Record Girl from Normlösa" , Outside's "South Pole and back in record time for Solos Sister" and National magazine "Swede who broke records at the South Pole" . When Johanna Davidsson skied to the South Pole on Christmas Eve in 2016 she beat the previous world record for men. ".... We have, however, not selected our winner this year primarily because of records. This expedition was about very careful preparations and skills – some of them learnt here at Finse. It is also characterized by a fundamental positive and enthusiastic spirit and dedication about fulfilling dreams. The expedition and the winner should be a role model for other aspiring explorers. So, it was a true polar adventure in the spirit of Shackleton." Please visit: www.solosister.se for more details. 2018: Mike Horn receives the 5th Shackleton Award at Expedition Finse for his impressive Antarctica Crossing in 2017. "Among this year's nominations, the Award Committee has selected a solo ski and kite crossing of Antarctica. In November 2016 Mike Horn sailed his yacht Pangea from South Africa down to Princess Astrid Coast (Dronning Maud Land) to access the continent, then skied and kited unsupported from there, through the South Pole and out to the Durmont d'Urville base on the Australian side. This is one of the longest routes across the Antarctic continent and has only been attempted once. The route is 5.100 kilometer long, and Mike Horn completed the crossing in 57 days. The expedition was a true polar adventure in the spirit of Shackleton. Mike Horn has also made a number of outstanding expeditions over the years, always in a spirit of adventure and a positive mood, personally involving with international adventure projects and also creating projects himself like the Young Explorers. It is therefore our privilege to announce the Shackleton Award for 2018, which goes to Mike Horn for his Antarctica Crossing in 2017. " 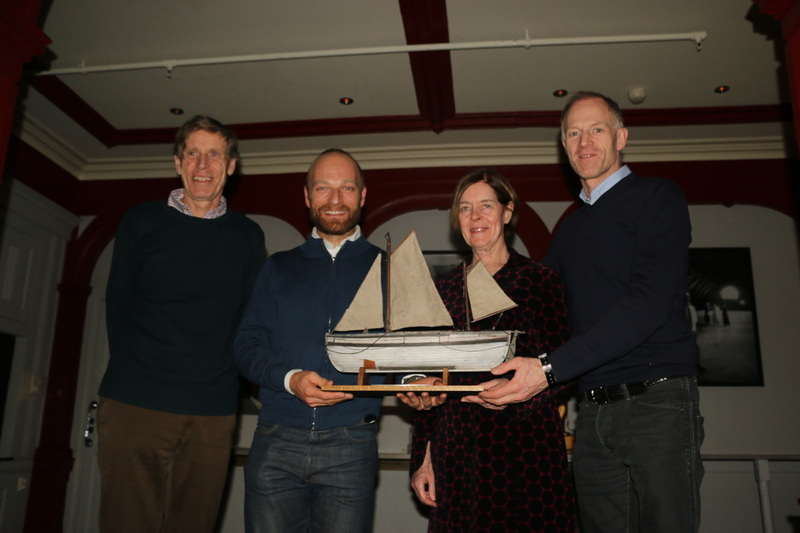 The award was presented by Hannah McKeand, Børge Ousland and Bjørn Basberg - all members of the Shackleton Award Committee while Mike was "present" on a video link from the Philippines. If you wish to attend the Expedition Festival and Shackleton Award Ceremony, please contact the event organisers directly at Hotel Finse 1222, Norway. Finse 1222 is situated in the heart of the Hardangervidden mountain plateau, wind-blown and bathed in sunlight at the foot of the Hardangerjøkulen Glacier. Untouched, wild and beautiful, it is situated between national parks yet easily accessible by train. Finse 1222 is situated at the highest point of the Bergen Railway, 1222 meters above sea level. It takes 1 hour to fly from London Gatwick and 2.5 hours by train from Bergen (4.5 hours by train from Oslo). Finse has a fantastic location, situated as it is between Hallingskarvet National Park and Hardangervidda National Park. Finse is the southernmost place in Europe with an Arctic climate. The average temperature during the year is -2C, but the thermometer has plummeted to no less than -39.6C in the past. This venerable mountain hotel in the tiny Norwegian hamlet of Finse, has become the new international melting pot for polar explorers. Since it opened in 1909, distinguished visitors include Roald Amundsen, Fridjoft Nansen, Sir Ernest Shackleton, and Captain Scott.